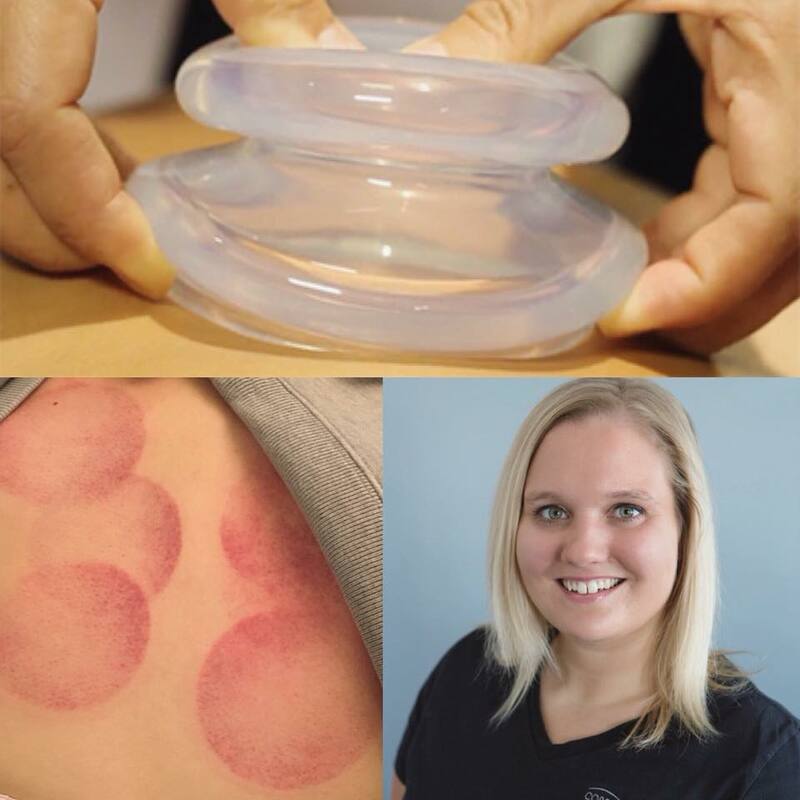 Brittany Pastorek RMT and trained cupping therapist explains the questions our clients have asked about the bruising that can occur with cupping therapy. Sometimes clients come in and are so fascially restricted that deep tissue muscle release won’t work. And then we need to think fascia and layers under the skin. Rather than applying pressure to muscles, the suction uses pressure to pull skin, tissue and muscles upward. The purpose of cupping is to enhance circulation, help relieve pain and pull out the toxins that are in the tissues. Cupping works great post surgery, removing scar tissue build up, releasing fascia and tissue in restricted areas and indicating imbalances in the body. Bruising may or may not happen depending on the persons skin pigment, how much suction the cup has, how long the cup was left on and how restricted the fascia is in that area. Some areas bruise more easily then others. Most people are nervous about bruising but these bruises only last a few days and really release those restricted areas leaving them feeling great immediately after the cups come off. Book in today for your cupping experience. Please keep in mind cupping is only used where needed and not always symmetrically used throughout the whole body.